Today the UK’s leading pickled vegetable brand, Haywards, announces a nine month media partnership with Metro. The activity, based around Haywards’ tagline ‘liven up your food’, is designed to increase brand awareness and penetration of the pickled vegetable category with a younger, more male focussed audience. Starting with sponsorship of the Metro’s Oddballs football column on Tuesday 22 April, the partnership will run in three phases until the end of December 2014. All three phases will encompass a broad range of branded content throughout the paper, including competitions and recipe suggestions, as well as press ads and front cover strips. Brokered by UM London, the activity has a media spend of over £750,000. The first phase will include a sampling campaign kicking off in London and Leeds on 21 May, to liven up consumers’ lunches with sports fun. The sampling, undertaken by Metro promotional teams, will see chefs inspire customers with delicious recipes and simple, yet tasty ideas for how pickled vegetables can liven up every meal. 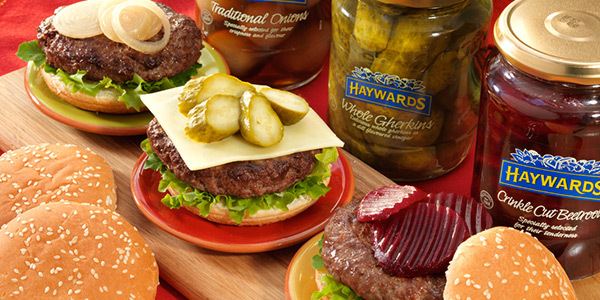 The aim is to show Haywards’ versatility as a cooking ingredient and demonstrate how pickled vegetables can really grab the senses and deliver a delicious taste-experience. There will be picnic style tables and chairs, as well as a number of sports and fairground games to participate in at the selected venues. The second phase of activity will begin in September and focus on beetroot, with the third and final phase commencing in November around pickled onions. This media partnership will again encompass a range of content, competitions, and sampling activity. The two phases aim respectively to liven up mealtimes and this year’s Christmas through the addition of pickled vegetables. Kate Charman, Haywards Brand Manager, Mizkan Europe says: “Consumers have a tendency to know what they like and will often buy and cook the same thing again and again. Younger generations also tend to see the pickled vegetable category as outdated and losing relevance, so we need to reinvigorate it to bring in and educate younger consumers. In July 2012 Mizkan Euro acquired Haywards alongside Sarson’s Vinegar, from Premier Foods for a cash consideration of £41m. Mizkan Euro is the European subsidiary of Mizkan, a privately-owned, Japanese business started in 1804, which is the number one Sushi seasoning supplier in the world. Headed by Kazuhide Matazaemon Nakano VIII, Mizkan is a global business with over 210 years experience in producing high quality products. Mizkan Euro has continued this worldwide trend of producing high quality foodstuffs by adding Branston Pickle, Haywards Pickles and Sarson’s Vinegar to its portfolio of brands as part of its growth plan, cementing its position as pickles and chutneys, relishes and vinegar category experts in Europe. Christmas has come early for Branston lovers, as the nation’s favourite pickle brand launches exciting new chutneys just in time for the festive season. The brand new Caramelised Onion and Mediterranean Tomato flavours are sure to make your Christmas menu extra special. Available in store from October, the delicious versatile range is set to become a festive staple. Create the perfect dining experience with a chutney for every meal. The unique sweetness of Caramelised Red Onion works perfectly with any after dinner cheese and bread, or why not try the distinctive taste of Mediterranean Tomato which works well with smoky meats, cheddar and biscuits. Grace Zeal, Ruth Bennett or Matthew Clark at Eulogy! Range available at all good food retailers – flavours may vary store to store. The kitchen is said to be the heart of the home, however new research from Haywards Pickled Vegetables reveals it can also be at the heart of havoc, as three quarters of Brits admit (77 per cent) to clashing over the cooking. The research reveals much of the unrest is the result of a battle between the sexes as two thirds of women (63 per cent) believe they are the head of the household, while a third of men (37 per cent) deem themselves kings of the kitchen. Making a mess in the kitchen was named the number one reason for cooking quarrels with a third of women (32 per cent) admitting it is their top pet peeve, compared to just a quarter of men (25 per cent ). The research also revealed nearly a third of women (31 per cent) get themselves in a tizz over what to cook for dinner compared to a quarter of men (26 per cent). One in ten chefs (10 per cent) get frustrated when someone takes over the cooking, while a further 11 per cent bicker about how long a meal takes to cook. When it comes to making a meal from scratch, women are keen to keep it quick and healthy with over three quarters (76 per cent) whipping up a salad, while nearly two thirds of men (61 per cent) spend time preparing a hearty meal of burger and chips. Women fly the flag at family mealtimes with more than half (55 per cent) making the effort and slaving over the perfect roast dinner compared to a third of men (32 per cent). Women are also the most keen to liven up mealtimes as one in 20 (four per cent) often experiment with different dishes compared to just two per cent of men. Steak and chips is voted the top dish cooked to help liven up love lives, with two in five Brits (40 per cent) choosing it as their special meal to make for a loved one. On the other hand, a third of singletons (33 per cent) ranked omelettes their preferred meal of choice. Cally Sheard or Ruth Bennett at Eulogy! Survey of 1,000 adults by One Poll on behalf of Haywards between 29th May – 2nd June 2014. Branston has teamed up with the star of Food Network’s Street Feasts, Andy Bates, to celebrate the launch of the condiment brand’s exciting new range of relishes this month. 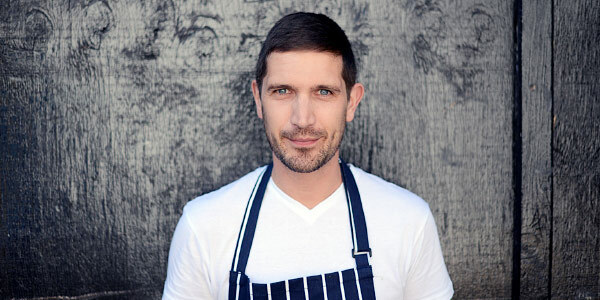 Bates, who is known for his modern twists on classic dishes, fuelled by his international travels and passion for street food, has created five tasty takes on the hot sandwich to mark the launch. Each recipe has been designed to complement the flavours of the five different relishes in the Branston range – Caramelised Red Onion, Tomato and Red Pepper, Smoky Tomato and Chipotle, Spicy Tomato and limited edition, Sweet and Spicy Brazilian. The hearty recipes include Andy’s signature Pieburger, with a tangy twist of Tomato and Red Pepper Relish, a Beer braised brisket and blue cheese slaw Tortilla with Smoky Tomato and Chipotle Relish, and a Mushroom and Caramelised Red Onion Relish Burger, oozing with grilled cheese to delight vegetarians. He has also created a Spicy Tomato Relish, tuna, avocado and cheese Toastie and a Pulled pork and mango salsa bap with Sweet and Spicy Brazilian Relish, inspired by his travels across South America. The delicious new relishes are available to buy from all major supermarkets at £1.79 (MRRP). Thunderstorms may be forecast, but new research from Branston relish reveals 34.6** million Brits will be dusting off their barbeques this month for another summer of long evenings and alfresco dining, and spending an average of £2,002 a year to keep up with the Joneses and host the perfect barbeque – that’s the equivalent to a luxury holiday to impress party guests. The research, which was conducted to mark the launch of Branston’s range of relishes, found Brits will invest an average of £84 on the perfect BBQ grill in the hopes of grabbing their guests’ attention and being crowned the King or Queen of BBQ season. Competition is fierce for one in seven (14 per cent) who spend as much as £250 on their barbeque, replacing it every three years to ensure they have the most current design. Cooking up an average of 11 barbeques a year, over one in ten (11 per cent) go all out and organise additional entertainment such as temporary dance floors to woo their guests, while one in 12 (6 per cent) go so far as to install special outdoor features like TVs or hot tubs in the hopes of making it a party to remember. It seems competition is the aim of the game as one in twenty (5 per cent) admit they always have to have a bigger and better barbeque than family and friends. July tops the poll for the month of marathon barbeques with 40 million*** Brits sparking up the gas or coal and making the most of the summer sun. Surprisingly one in twenty (5 per cent) eager beavers get their barbeque up and running from as early as January while April sees the first of the summer spike with one in six (13 per cent) cooking up a storm – giving guests a taste of what lies ahead. According to the research, the sunny South makes the most of their barbeques with London having an average of 14 barbeques a year, followed closely behind by Oxford who indulge in 13. Barbeques are a serious business for Brits, with the average party setting hosts back £182, with alcohol alone costing £71.23. Meat is the second highest expense costing an average of £26 on top quality cuts, while sides and snacks add an additional £15 respectively to the shopping bill. Even condiments can cost an average of £13 per party, ensuring there is a relish or sauce to meet everyone’s needs. It seems the secret to a good BBQ is a selection of meats. Beef burgers have been crowned the nation’s favourite BBQ food, with almost three quarters (69 per cent) choosing it as their meat of choice. Sausages are another party staple with nearly two thirds (62 per cent) enjoying the taste of a barbequed hotdog on a long summers evening while over half of Brits (57 per cent) like to splash out, choosing steak as their number one BBQ food of choice. Survey of 2,000 adults by One Poll on behalf of Branston between 22nd May – 23rd May 2014.